Wideawake airfield was named after the colonies of sooty terns which were very noisy to the locals mainly in the morning. 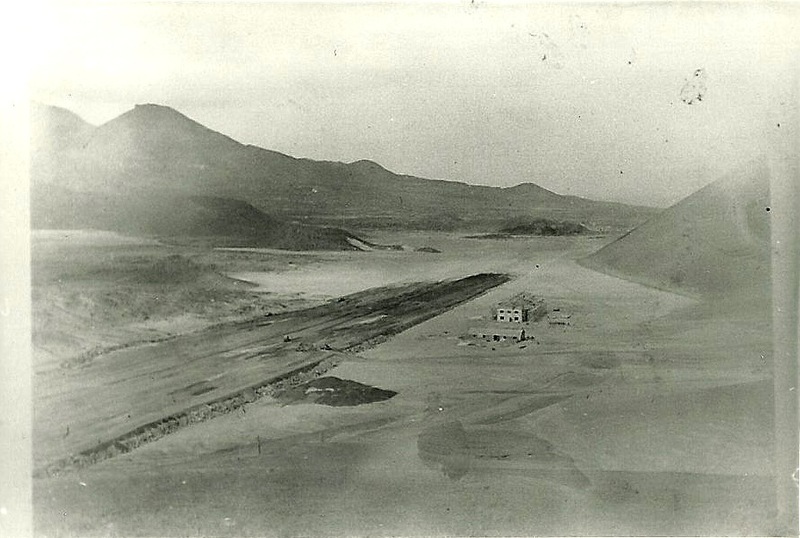 The single runway was built by the American Army which debarked men and material from USAT COAMO and LUCKENBACK May 1942. After the end of World War II, and American departure, the airbase fell into disuse. One PBY-4 long range Liberator, seen on tarmac at Ascension airfield taxiing for another long routine patrol over the vaste expanses of the south Atlantic. Some U-boats were sunk by planes stationed in that barren tiny rock. 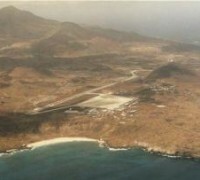 Ascension Island seen from above. 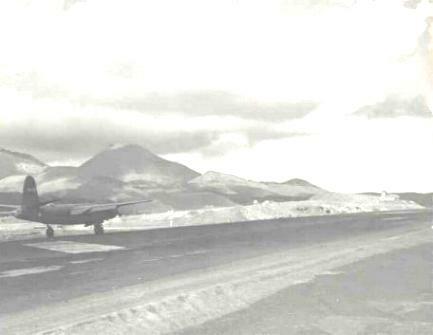 One of the first Squadrons the US deployed at Ascension was composed by Aircobras and B 25's medium twin engine bombers to provide an effective protection of the island. 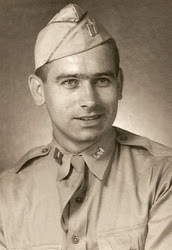 Our special thanks to Ms. Robin Chapman who kindly granted us permission to display his father's pictures. 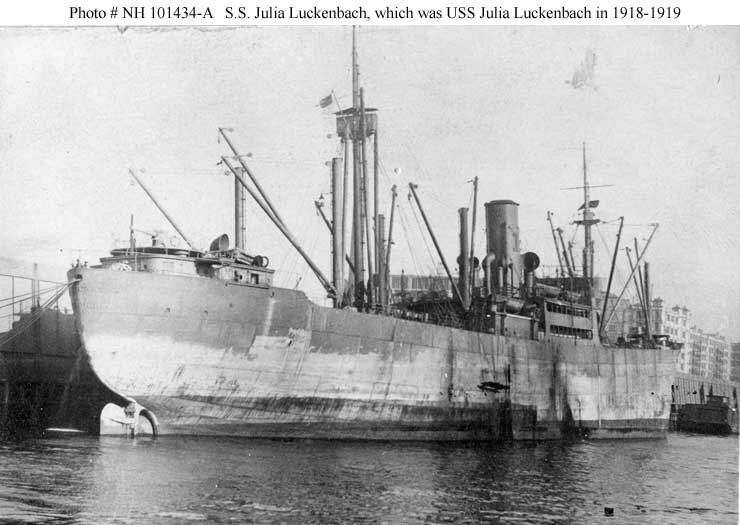 It's a symbolic tribute to those brave young men who sailed from Recife bound to an unknown tiny forgotten island in the mid of south Atlantic to carve a rock and erect one of the most important military outpost of the War. 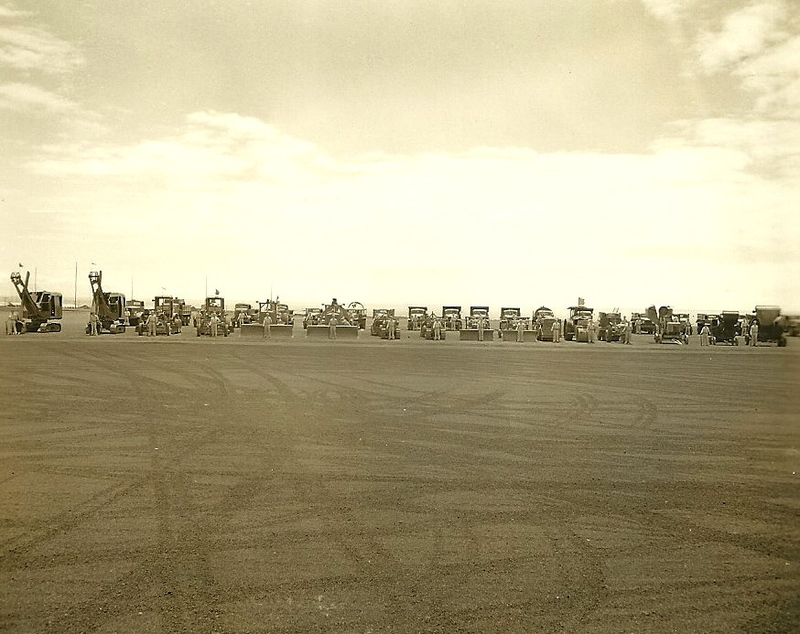 The staggering array of Buldozers, Graders, Rollers, Tractors, Trucks and men who build the airfield in 100 days. Capt. 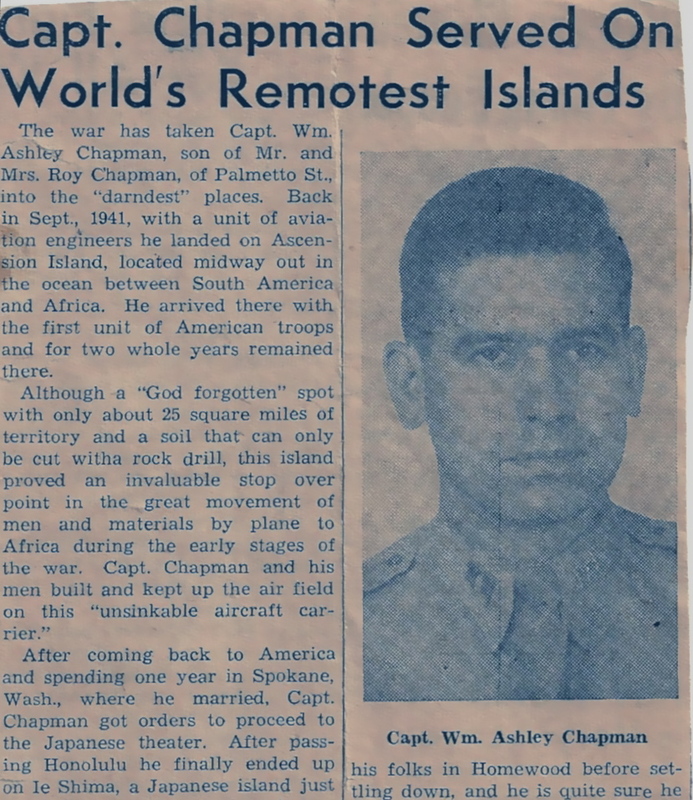 Chapman quoted on newspaper. 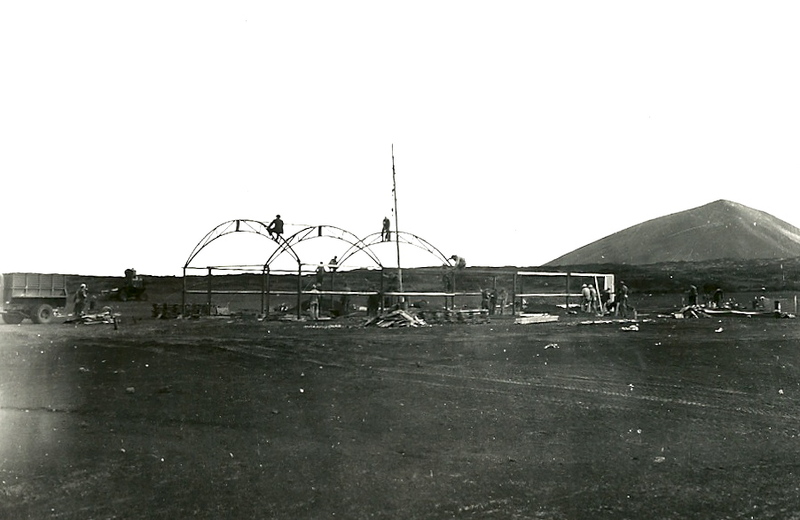 Picture shows a steel arch hangar being erected at Ascension. 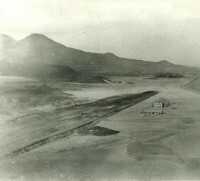 Detail of the runway taking shape. The super human effort which began on 1st April ended on July 10, when the first American plane landed on the runway. One B 26 Marauder at maintenance before the long hop to west African airfield of Takoradi. 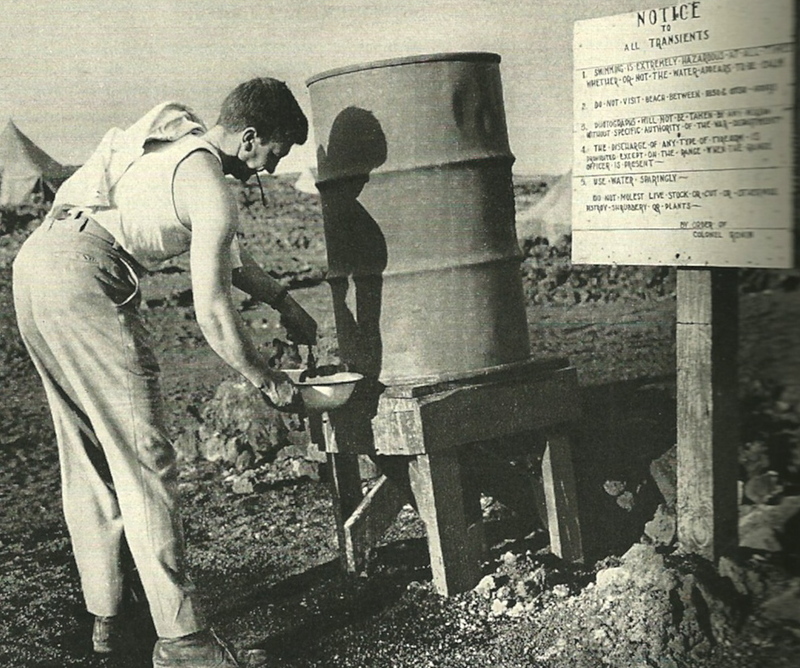 Dozens of engineers and Army personnel are seen working to lay the pipeline at Ascension Island. 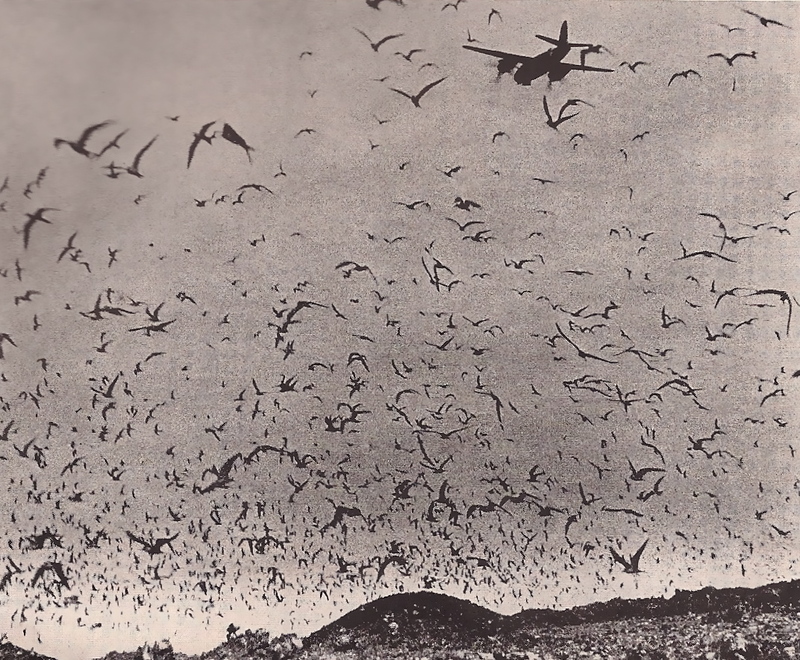 Flocks of Sooty terns spread accros the runway at Ascension Airfield. It was a matter of great concern because they represented a menace to aircraft on take off. Potable water was one of the most critical commodity at the island. With the arrival of thousands of troops the problem became more accute. Rationing was imposed to everyone. On the placard above, are written the restrictions to its use. 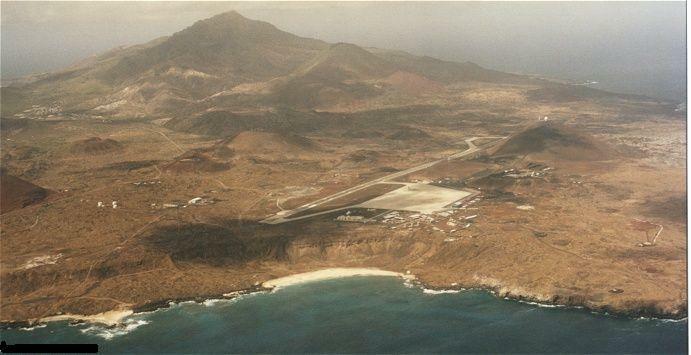 Without Ascension Airfield the hop to African bases would be far too long especially for twin engine aircrafts which crossed the Atlantic by thousands. 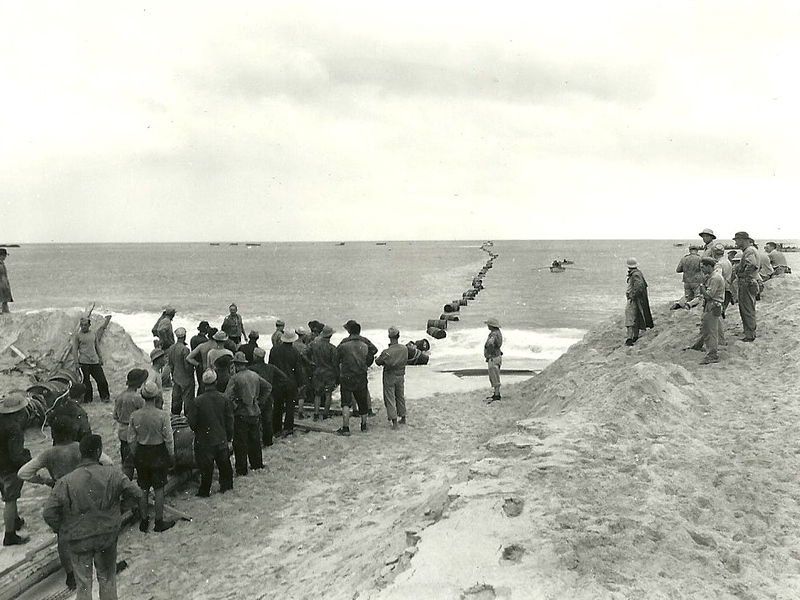 Men from US 38th Engineer Regiment along with the British Garrison help to lay a pipeline, vital for the transport and machines involved in the building of the Airfield. 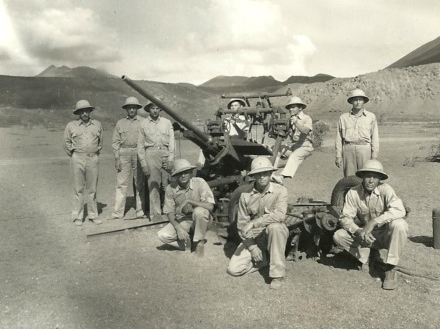 One anti aircraft gun and its garrison seen at Ascension. 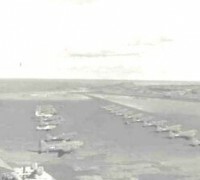 Although the possibillity of any Axis attack from the air seemed unlikely the US Army took precautionary measures to defend the island against any intruder. Above a picture of the runway upon completion. Soon dozens of aircrafts of all types will be landing in that strategic allied outpost.